Talk about causing a sensation. 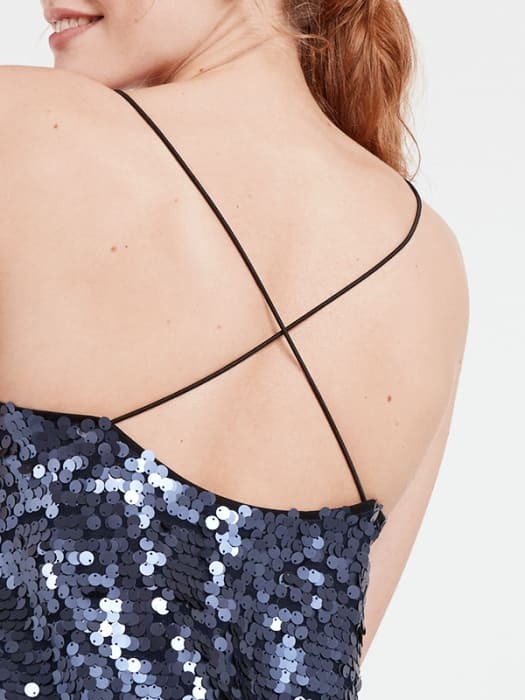 This little sequin cami dress slays every time. The skirt is just a little bit flared for a 60s vibe and you know what that means? It really needs chunky platform sandals to complete the look.